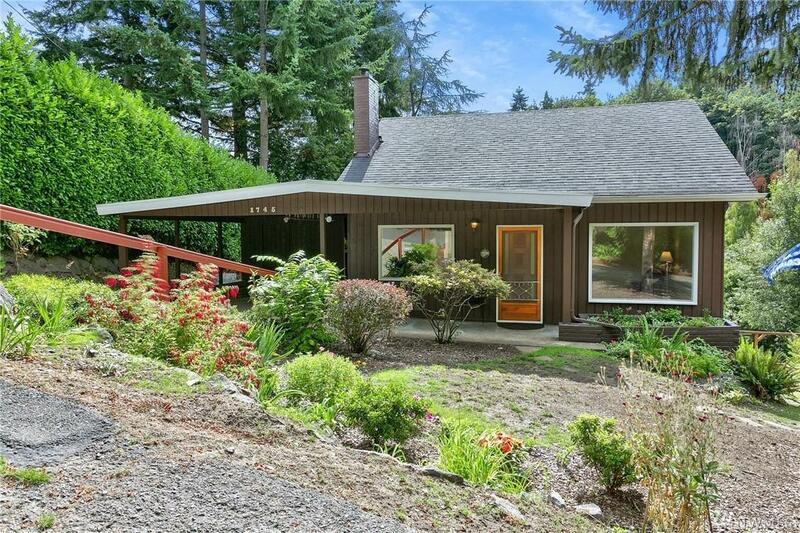 Come see this beautiful greenbelt setting overlooking Thornton Creek. Very quiet dead-end street, rare this close-in to the city. 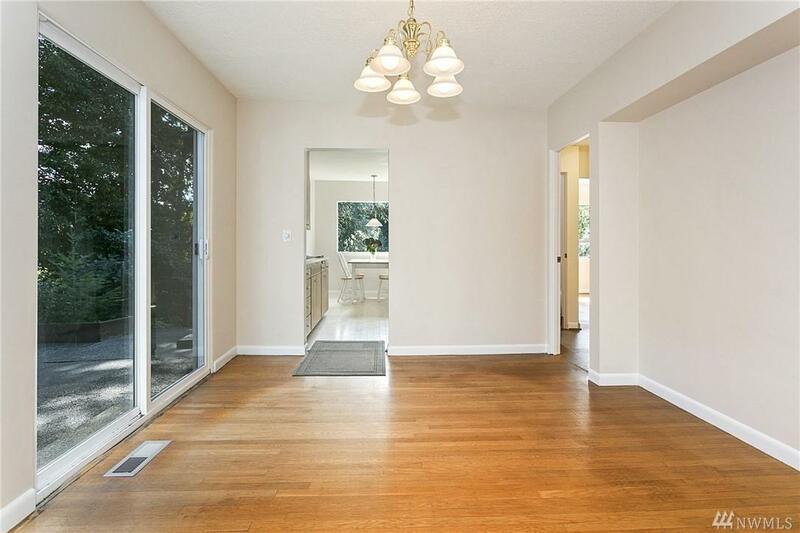 Well cared for home welcomes your updates or move right in! 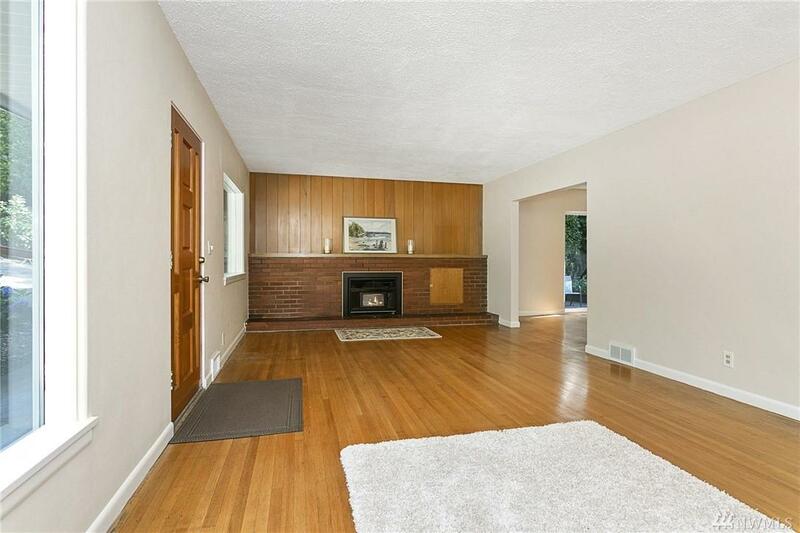 Large rooms & open living spaces with hardwoods throughout. Fresh paint in & out. 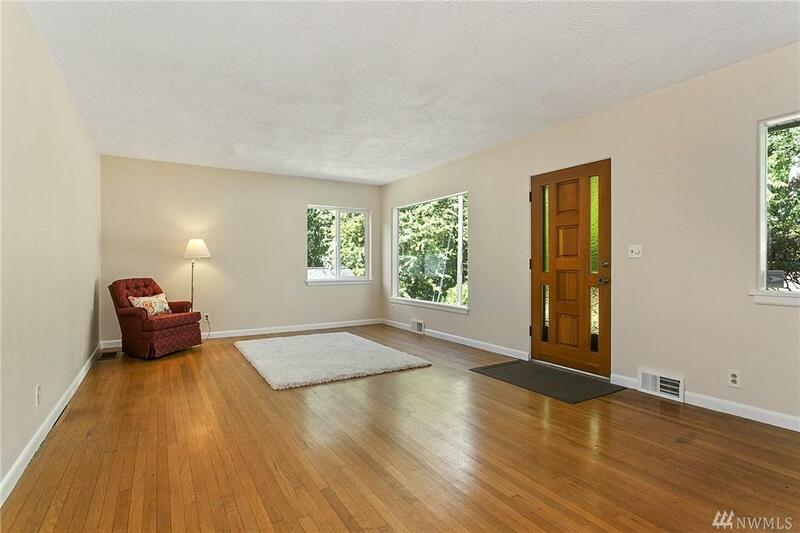 Bright basement with high ceilings & access to back deck just steps from Thornton Creek Park. Patio off the kitchen looks down on big flat backyard full of fruit trees. Great neighborhood blocks from new Victory Heights park!